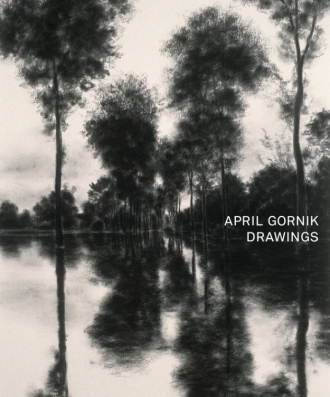 Weds., October 22, 6 to 8 p.m.
April Gornik: Drawings is an extensive compilation of charcoal drawings done by Gornik since 1984. Lush and wide-ranging in scope and subject, these landscapes call out the wild and the cultivated, from the desert to the forest to the sea, and show both the progress and consistency in her evocative approach to drawing. As she has said, “Charcoal drawings look so unlike anything else in the world, they have their own light, their own density.” Contributions include essays by Steve Martin and artist Archie Rand; a fascinating interview with the artist, conducted by Lawrence Weschler, about her approach to her studio practice and her life; and a musical offering by composer Bruce Wolosoff, who has written a stunning work for piano and cello inspired by one of Gornik’s drawings (available with purchase through iTunes). Copies of the book are available for purchase and signing after audience Q&A at the end of event.